SANAA, Feb. 11 (YPA) – The Yemeni army has inflicted the Saudi-led coalition militias heavy casualties in various fronts, achieving the great triumphs and over the past 24 hours, the Military Media reported on Monday. In border province of Najran, the army carried out an artillery and ground attacks on sites of the militias in Rashah area, killing and injuring a number of the militias. The army also fired two Zilzal 1 missiles at groups of the militias in Sudis site and destroyed a military vehicle in al-Ajashar desert of Najran, killing and wounding several. In Jizan province, the army launched artillery towards gathering of the militias in Qais mountain and Majazah area, inflicting heavy losses. In Jawf province, a number of the militias were killed and injured when the army foiled an attack towards Astor area of Khab Washaf district. In Dheala province, the army foiled an offensive by the militias in Damt district, killing and wounding a number of the militias. 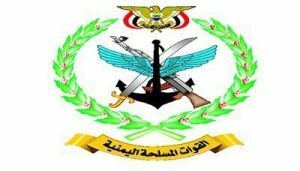 In Marib governorate, the army killed and injured several of the militias in an assault on sites in Harib area of Nehm district. In Hajjah province, the army launched an artillery assault on gathering of the militias in al-Nar mountain and Haradh area.